If you are a digital nomad, travel frequently for work or if your phone has a short battery life, a power bank is a worthy investment. The Energizer EU10007 10000mAh Power Bank comes with two USB ports, a lithium-ion battery and is compatible with both iOS and Android devices including iPhone, iPad and Samsung Galaxy. The dual USB port allows to charge two devices at once. 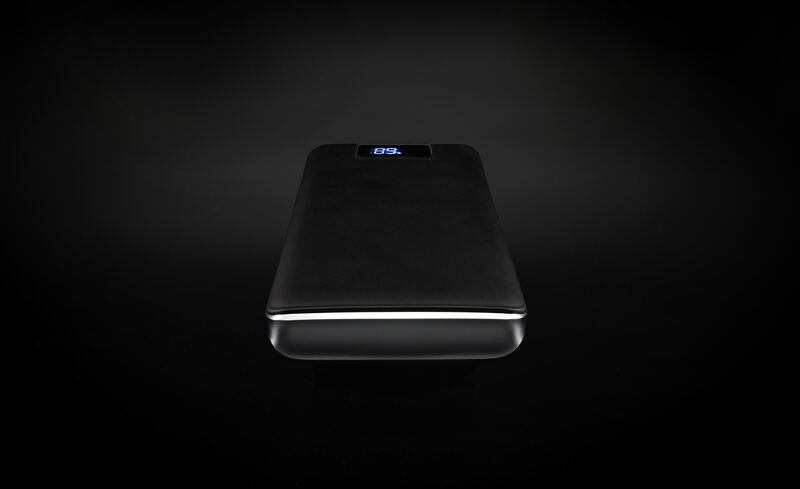 The power bank is compact and lightweight, which makes it very portable at 240 grams. For Android devices such as the Google Pixel you need to get a separate cable. As the power bank does not come with a mains charger, be aware that out-of-the-box it will charge from an USB cable connected to a laptop. Therefore, it’s advisable to get a compatible mains charger. The AUKEY USB C Cable is compatible with the Energizer EU10007 power bank. The first charge for the power bank takes approximately 9.5 hours and you can see the charging progress with a 4-LED lights display system. The lights will flash while charging and stay on when charged. The lights will flash one by one to show the progression in four stages, each taking about 2 hours and 20 minutes. To then charge up a device, the power bank will yield 7.5 hours of charging power. In other words, the power bank runs at approximately 80% efficiency. The power bank should be able to charge an iPhone four times. It takes about 2.5 hours to charge an iPhone and about 4 hours to charge an iPad Mini. In other words, you should be able to charge an iPhone at least 3 times fully. According to the instructions (an extremely small leaflet), the charging ability of the lithium battery will decrease after two years or 500 charges. Thanks to its small size and good charging capability, this power bank is very useful when travelling. I personally used it several times when flying, as it packs neatly in the hand baggage. I found it particularly convenient in airports, as available wall sockets are limited. Please note that power banks and lithium batteries cannot be packed in checked luggage and that power banks exceeding 100 Watt hours need approval from the airline. If the portable charger exceeds 160 watt hours you need a special permission to bring it on board. Having an LED light display showing how much charge is left in the power bank is an excellent feature, and you can decide just to boost your device’s charge for an hour to check the latest messages if the power bank is running out of juice.